One of the decisions homeowners must make when getting a new roof is what type of shingles to use. There are a wide variety of factors to consider and options to choose from, and there are key differences between the two that homeowners should be aware of. Here, we provide information about the options for new roofing shingles, things to consider, and what we recommend here at DeKalb Roofing Company. Homeowners have two main options when selecting new shingles: traditional 3-tab shingles, and architectural shingles. 3-tab shingles are basic shingles. Once considered the standard choice, 3-tab shingles are the least expensive option. Architectural shingles are any type other than traditional shingles, and they are fast becoming the standard in the industry. Architectural shingles are considered to be the higher-end option, and many homeowners choose them because they provide more attractive results and add value to the home. There are a few things homeowners should consider before selecting which type of shingles to use. How long you will be in your home: Traditional shingles come with a 25-year warranty, while architectural shingles carry a limited lifetime warranty. Many homeowners plan to be in their homes long-term, and for them, architectural shingles may be worth the investment. For homeowners who do not plan to stay in their homes, however, 3-tab shingles may be the preferable option. The importance of your roof’s appearance: Homeowners who are trying to achieve a certain “look” for their homes often prefer the appearance of architectural shingles. Cost: Homeowners who choose architectural shingles will pay approximately 10% more than they would if they used traditional shingles. 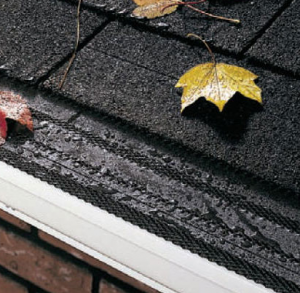 Weather: For homeowners who live in areas that frequently experience bad weather, architectural shingles may be the better option, as they are heavier. In our opinion, if you plan to stay in your home long-term, it will likely be worth the added cost to invest in architectural shingles. Not only will you have the assurance of a limited lifetime warranty, but you will also improve the appearance of your home and add value should you ever wish to sell. Of course, each homeowner must weigh the pros and cons of each choice before making the final decision. We want to help you make the best possible choice for your home. Contact us to learn more about your options for replacing your shingles or to schedule your free estimate. This entry was posted in Shingles and tagged architectural shingles, shingles on October 12, 2012 by DekalbRoofing. If you’re looking for high-quality roof installation, there are a variety of roofers to choose from in the market. 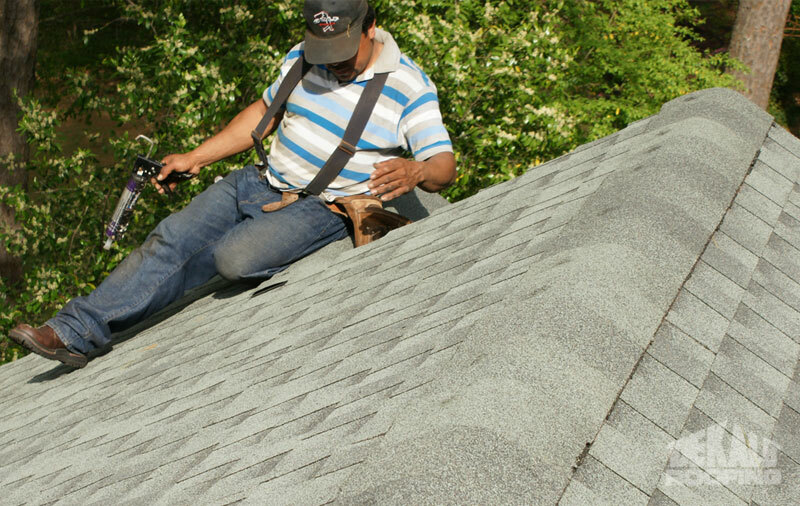 Figuring out exactly how to get a quality roofing contractor is no easy task. However, there are certain qualities you can look for in order to determine whether or not your prospective roofer will provide you with high-quality work. Experience. Don’t hire a roofer who is new to the industry. You need roofers who have experience in this construction field so you can be sure they have the knowledge, skill, and expertise to get the job done. Establishment. High-quality roofing contractors will have a permanent place of business, a tax identification number, and a business license. If your roofer does not possess these things, the quality of their work may be in doubt. Safety. Needless to say, roofing is a dangerous operation, and sloppy work can endanger both workers and bystanders. In addition, low-quality work can cause significant property damage. 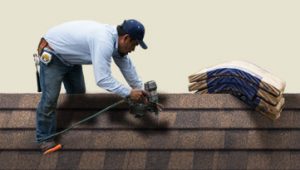 Make sure that your roofer has complete insurance, including worker compensation. Licensed. 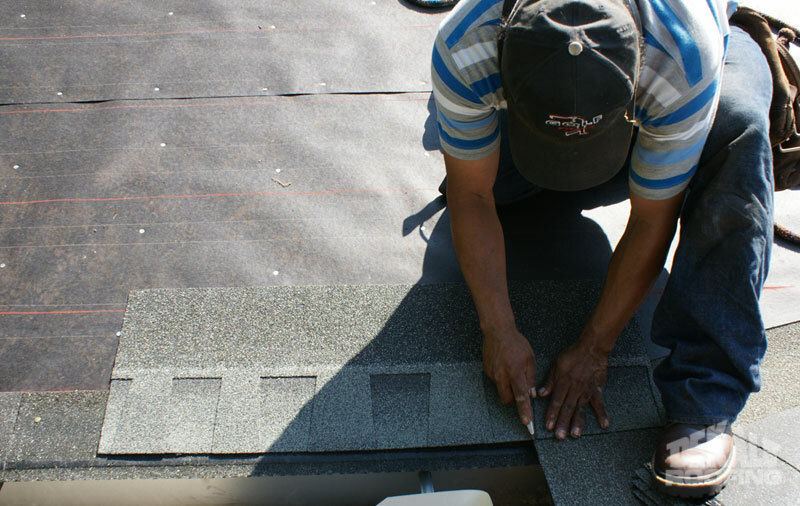 Depending on the state, a roofing contractor may need a license to practice roof installation. Check your state’s licensing requirements, and then check to make sure that your roofer has a license. Checking customer references by calling several customers with similar roofs as yours. Checking the roofing contractor’s financial information, including creditors and banking references. Call the Better Business Bureau to find out if there have been any complaints about the roofer, or if there have been any unsatisfied customers. Insist that your roofer provide you with a written proposal, and check to make sure that you think it is both complete and fair. 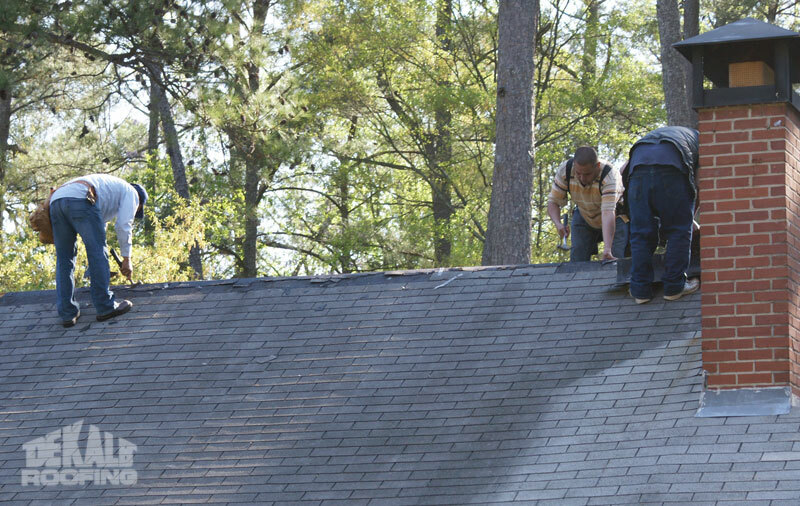 If you’re looking for a high-quality roofing job in Atlanta, you need the experienced roofing experts at DeKalb Roofing Company. These workers have over 3 decades of experience in the field of roofing, and they have the credentials to back up their claims. 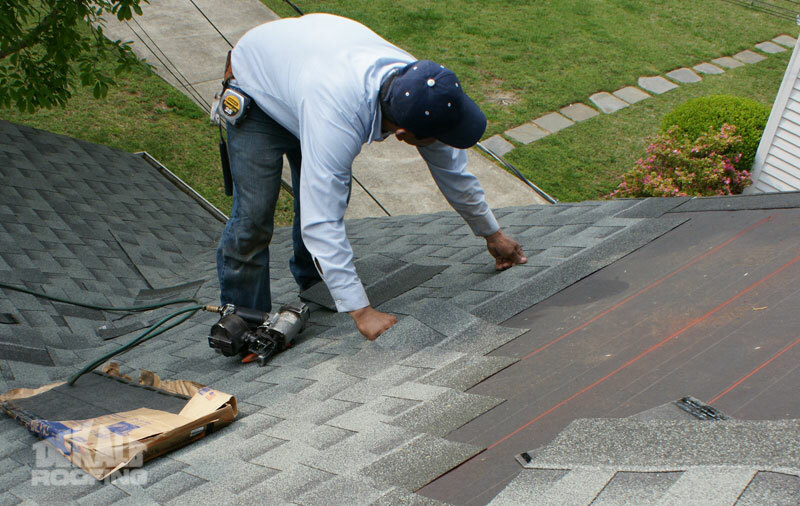 When you do your homework on DeKalb Roofing Company, you will soon understand that these roofers will provide you with exceptional roofing and gutter results. Call the roof installation specialists at DeKalb Roofing Company today to schedule your free estimate at 404-288-5728. This entry was posted in Roofing, Roofing Contractor and tagged atlanta roof installations on December 2, 2011 by DekalbRoofing. Storm Chaser Roofers: Avoid Them at All Costs! There are scams in every industry, including the roofing industry. While pyramid get-rich-quick schemes and dangerous diet programs are common, there are other less-suspecting schemes on the market. These scams include storm chaser roofers. The experienced and honest roofing contractors at DeKalb Roofing Company want to show you the importance of carefully choosing a roofing company, and how to avoid potential scams. Storm chaser roofers are seemingly legitimate roofing contractors that move into your neighborhood right after a serious storm that has caused significant damage to surrounding homes. After they “finish” the job, they will simply take your money and run! How Can I Identify a Storm Chaser Roofer? Although these roofers can often seem legitimate, don’t let them fool you! They can leave your wallet empty and your home in shambles. If your roof has suffered significant damage due to a storm, don’t hesitate to find legitimate roofers who provide high-quality roof installation. Check local references, specifically for jobs completed in the last 30 days and over 1 year ago. Make sure that their local business license has been valid for over 1 year. Make sure they are a member of the local Better Business Bureau. Make sure they have insurance, including liability and workers compensation. Check for written manufacturer warranties. Check for written labor warranties. 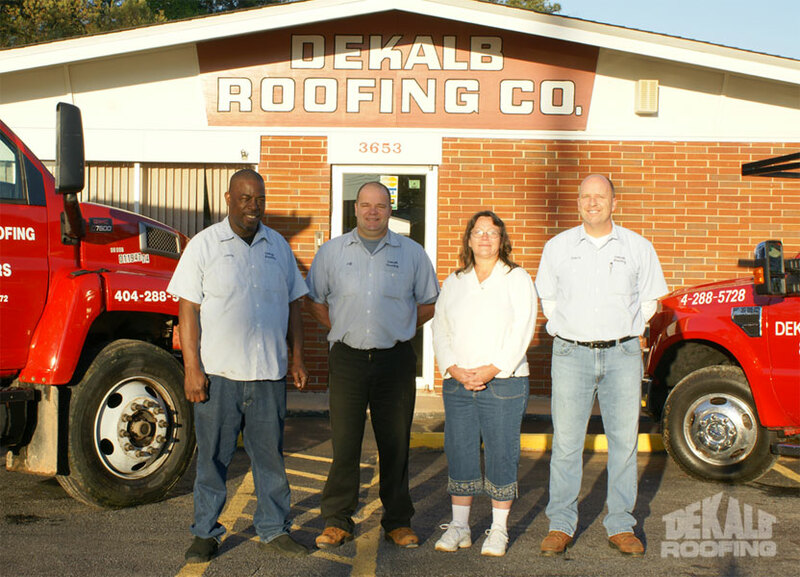 If you’re looking for roof installation contractors with the credentials to back up their claims, choose DeKalb Roofing Company. These top-notch roofers have over 39 years of experience in the roofing industry, so you know they have the knowledge and expertise to do a superb job. Call DeKalb Roofing Company today for a free estimate at 404-288-5728.